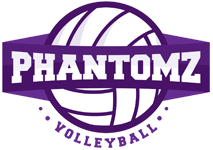 Phantomz volleyball clinics are weekly, "ALL SKILLS BASED", and for ages 7 to 17. Our volleyball clinic focuses on improving their "Individual" skills. It's like attending group private lessons weekly! Beginners cover all skills (Overhand serving, passing, setting, spiking). They focus on learning from a young age in a constructive enviornment. The more Advanced players work towards a higher level of play, usually the high school level. Skills Clinic place a heavy concentration on technique and getting players ready for junior high, club and high school tryouts. *Players are separated by age, allowing them to learn and develop amongst their peers and appropriate skill level. Welcome to join late or Mid-Session (we Pro-Rate)!